If you are in the search for a private aircraft charter flight to Moreno Valley, California, there’s no other charter flight company that can create the best possible private air travel experience for you than Charter Flight Group. We are not your average private jet company and we strive to provide our clients exceptional travel solutions, whether it is domestic or international, and even for one-way or multi-stop charter flights. With Charter Flight Group, you will have the privilege to choose the private jet aircraft’s make and model for any of your private aircraft charter flights to any destination around the world, including the numerous airports surrounding Moreno Valley, California. We have an extensive database of private jet aircraft from light jets such as the Phenom 300, to mid-size jets like the Hawker 800XP, and even heavy jets such as the Falcon 2000LX. We provide charter air flight services 24 hours a day, 7 days a week to any destination of your choice, especially to California. We service all 259 airports in California including LA/Ontario International Airport (KONT), which is just 23 miles from Moreno Valley downtown. Whatever you charter flight requirements are, CFG has a private charter aircraft available for you. Because of the fact that Charter Flight Group has the advantage of possessing a vast array of private aircrafts, you will have the inherent private aircraft options available to you at any given time. Ever since Charter Flight Groups establishment, the company’s fundamental value remains the same. That is, we strive to provide our clients the most luxurious, most comfortable, and most convenient charter air flight that a private jet company can give. However, your safety is our foremost priority and that is why we make sure that all our private charter aircrafts meet the stringent aviation standards set by the US government through the Federal Aviation Administration (FAA). But we are not stopping there; we intend to take extra steps to assure our client’s security and welfare. 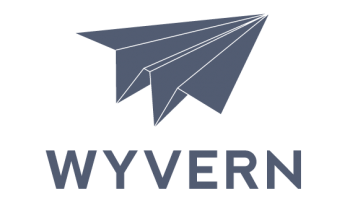 This is why we are proud to get audited and approved by the Aircraft Research Group of the United States (ARGUS) as well as the world-renowned Wyvern standard which is the leading standard in the charter flight industry. 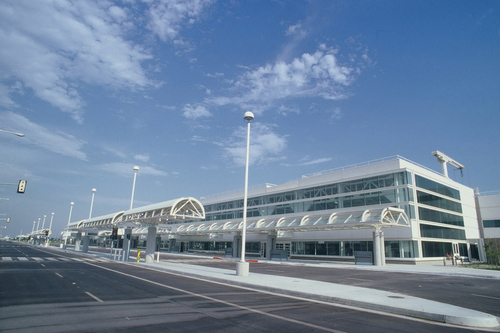 Once known as the Ontario International Airport, the LA/Ontario International Airport is a general aviation airport appropriately located 23 miles from the buzzing downtown of Moreno Valley, California. The airport serves about 7 million passengers every year including chartered private jet flights in and out California. It is a medium-hub, round-the-clock airport that can cater to all your private aircraft charter flights to Moreno Valley and to other major domestic and international destinations. Because of its convenient location, the LA/Ontario International Airport serves as the centerpiece of the busy and ever growing California economy, including Moreno Valley’s. The airport already services more than 100 flights daily but it is in the middle of expansion plans wherein its capacity will expand eight times as well. This is highly beneficial for private aircraft travelers – whether for business or for pleasure – as it will augment the airport’s already highly modernized freight system, to its flyer’s advantage. Chartering and landing a private jet to LA/Ontario International Airport to your ultimate destination, the Moreno Valley is definitely convenient with this freight system. Doing business in Moreno Valley makes perfect sense. As a big part of the developing Inland Empire in Southern California, business opportunities are but thriving in this area. Ideally located at California’s future center of logistics operations – the intersection of Interstate 215 and State Route 60 – business developments are but expected to happen. Moreno Valley continues to exceed spectator’s expectations with exciting business opportunities. Thus, if your charter flight to Moreno Valley is for corporate purposes, you are in for a business treat. However, if you want to charter a private jet to Moreno Valley just to explore the city and visit exciting new places, you won’t be disappointed as well. Moreno Valley’s picturesque Box Springs Mountain peaks will soothe every nature-loving bone in your body. 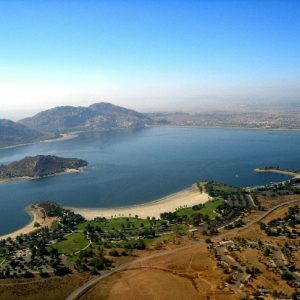 If you crave for calm waters, you can visit Perris Lake or fish in the productive trout fishery in Santa Ana River. Moreno Valley won’t fail aviation enthusiasts as well because the city is filled with aviation history and heritage, from the historical March Air Reserve Base, to the spectacular March Field Air Museum. Air charter travelers to Moreno Valley can even join the festivity in the March Field Air Fest for the bi-annual show popularly known as “Thunder Over the Empire”. Combining business with pleasure is not a problem as well. After a long day of business meetings and transactions, you will find yourself in the midst of fun and entertainment that will soothe away your weary bones or you can just head straight to a tranquil retreat in your own hotel room. Why Choose Charter Flight Group for Your Private Jet to Moreno Valley? Charter Flight Group offers an unrivaled line of different amenities that makes every chartered private flight luxuriously convenient. We offer unique and unparalleled facilities and services aside from the fact that our chartered flights are guaranteed safe and secure. CFG is proud of its trained experts and consultants who can organize a private jet flight for you in a competitive rate, anytime and anywhere in the world.